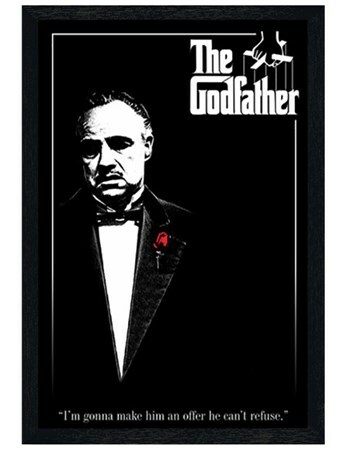 Regarded as one of the greatest movies ever made, the epic story of The Godfather is a timeless classic. Featuring Marlon Brando, Al Pacino, Robert Duval, Diane Keaton and Talia Shire, this classic story follows the American-Italian family, the formidable Corleones. 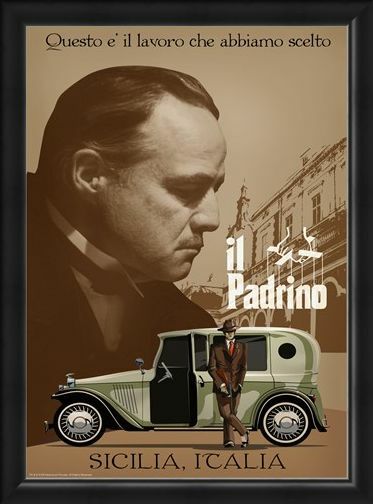 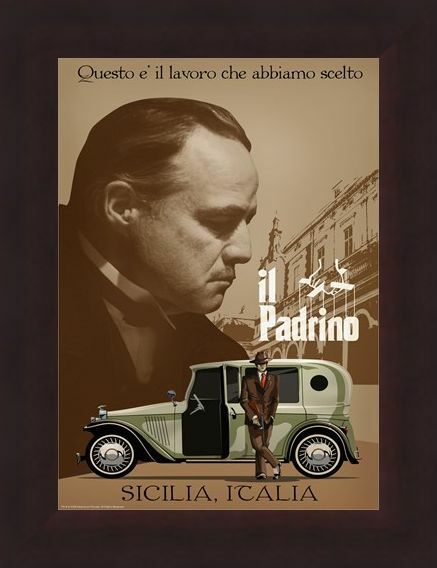 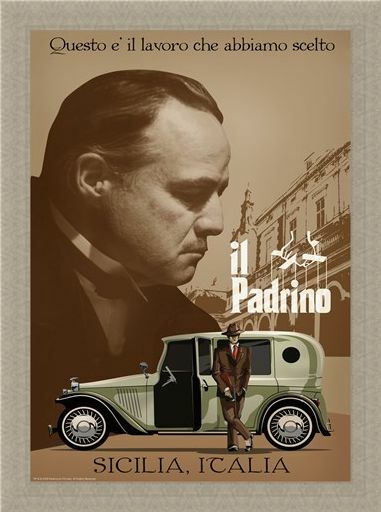 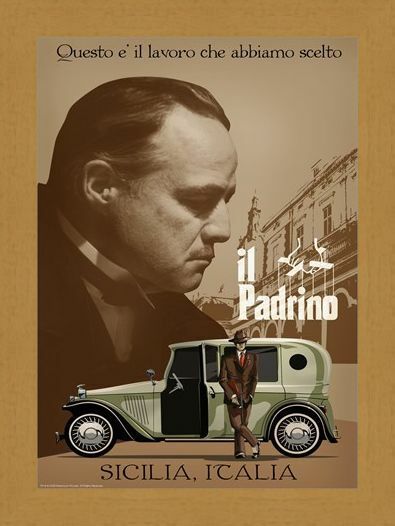 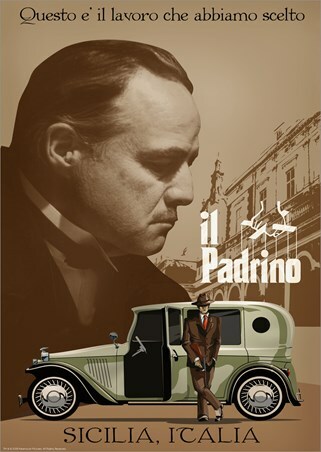 The epic poster features the face of Don Vito along with the phrase "Questo e' il lavora che abbiamo scelto", which translates to "This is the work we have chosen". 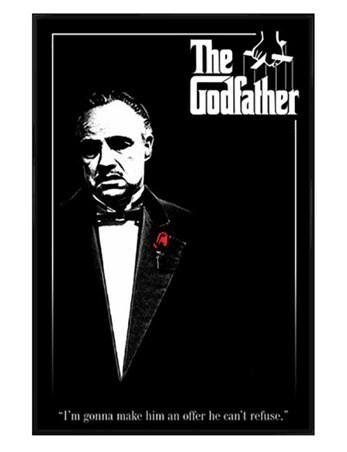 For those looking for a classic piece of art to hang on their wall, this awesome limited edition print is the perfect way to express your great movie tastes. 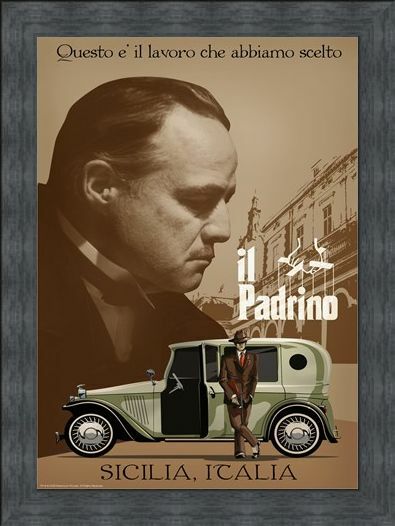 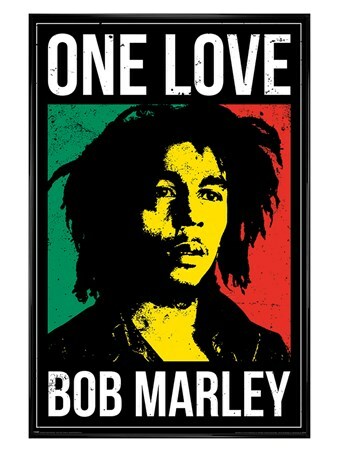 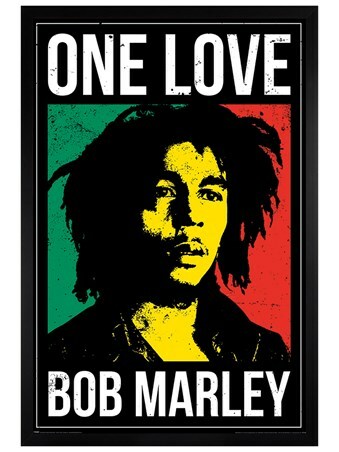 Limited to only 995 copies, this print also comes with a numbered certificate of authenticity from Universal. High quality, framed Sicilia, Godfather limited edition print with a bespoke frame by our custom framing service.